Pinterest is so fun for creating decor ideas!it's definitely kept me busy planning the look I want even though I may not be able to financially create it yet.Look forward to your decor posts! Thank you for the post, I especially love that pink fridge in the last picture! I love these photos, I've gone on there to get ideas for my kitchen remodel. Oh, the pyrex is so lovely, and the (almost) matching glasses - perfect for a buffet! 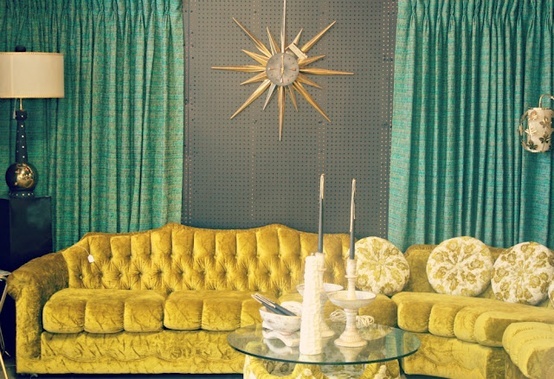 Though my own home isn't overly period (mid-century or otherwise), I do like to inject hits of vintage all around, and never, ever tire of reading about, at looking at photos of, vintage decor, so I'my definitely excited to see the posts on this topic you have planned. Oh thank you for the shout out hun! 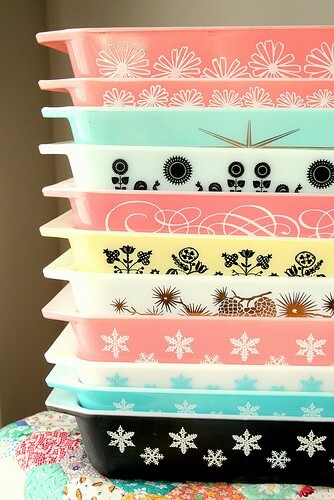 I love all the candy Pyrex and of course every kitchen needs a Smeg! Wow! So much inspiration I love all the colours. 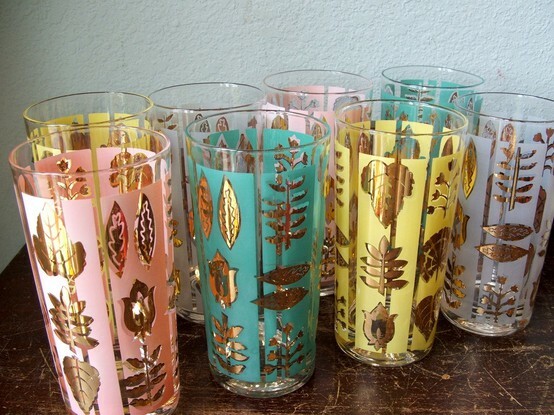 I have a lot of pale pink and blur vintage in my house so these were right up my street!